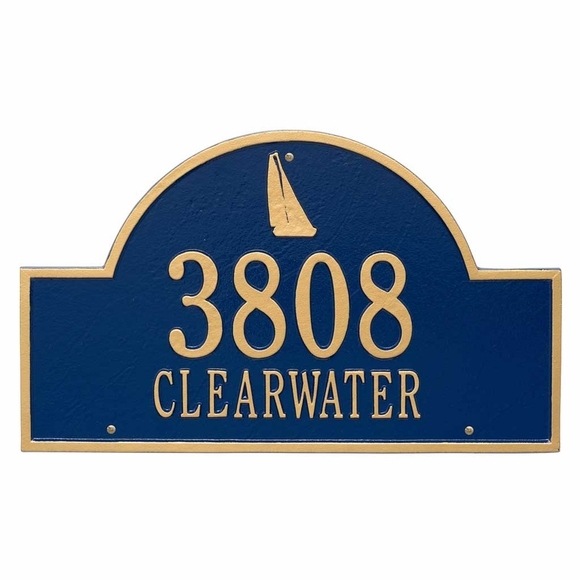 Large Arch Address Plaque with Sailboat - - wall mount 23.25" x 14" estate size personalized address sign with sailboat. Made in USA. Holds five large 4.5" numbers on line 1 and seventeen 2" characters (including spaces) on line 2. Personalized address sign with sailboat in the center of the arch.